Indoor full color display used the high quality LED chips. High Luminous efficiency, low light attenuation, stability and reliability, wide viewing angles. Clear, simultaneous display, without any distortion, balanced technology and color effect. 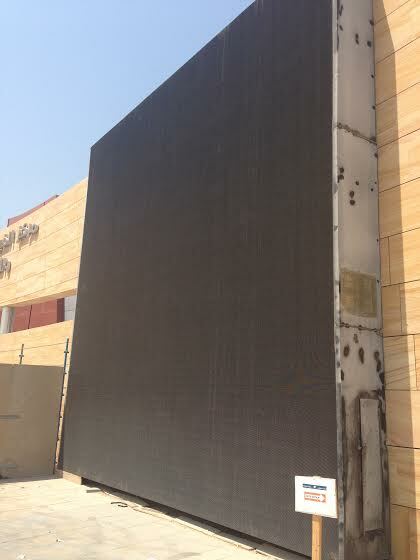 Outdoor LED Display can meet the requirements of outdoor environment by the function of waterproof, damp proof, and anti-ultraviolet. High brightness also makes it clearly when shining on the front. With the upgrade control system, the LED display increased the blind spot detection, point wise current and unlimited pass back. According the light to adjust the brightness of the screen. Easy future upgrade to smaller pixel pitch to prolong your investment. No PC required, thus saves on cost, increases reliability and makes operations simpler. Content can be updated via network or via USB drive and the content is stored on the unit itself. 5GB of built-in storage capable of supporting almost all video and image formats. Slim profile (< 35mm depth) and lightweight (< 35kg/panel).